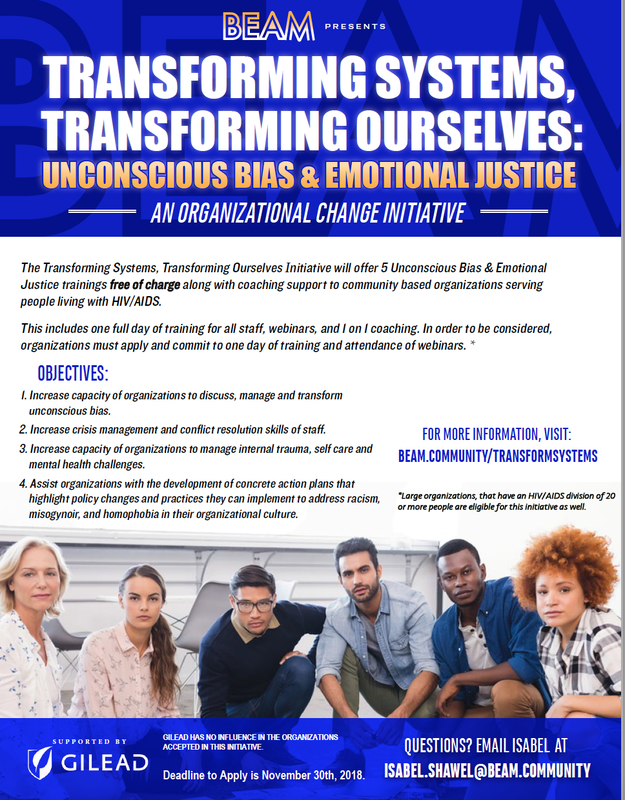 The Transforming Our Systems, Transforming Ourselves Initiative will offer 5 Unconscious Bias & Emotional Justice trainings free of charge along with coaching support to community based organizations serving people living with HIV/AIDS. This includes one full day of training for all staff, webinars, and 1 one 1 coaching. In order to be considered, organizations must apply and commit to one day of training and attendance of webinars. Increase crisis management and conflict resolution skills of staff. Increase capacity of organizations to discuss, manage and transform unconscious bias. Increase capacity of organizations to manage internal trauma, self care and mental health challenges. 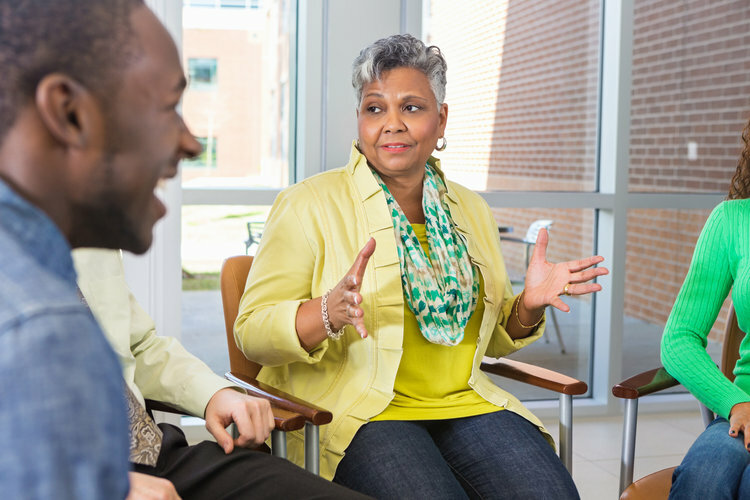 Build rapport and connection with staff through shared language and skills. Assist organizations with the development of concrete action plans that highlight policy changes and practices they can implement to shift Transphobia, racism, misogynoir, and homophobia in their organizational culture. This initiative is supported by Gilead. Gilead has no influence on the chosen organizations. Only organizations that serve People living with HIV are eligible for this initiative. You can apply by clicking here. Deadline to apply is November 30th,2018. Organizations who are interested in developing shared language for understanding how systemic oppression operates in their organizational culture. Organizations that have diverse staff. Organizations that want to build up their conflict resolution skills. Organizations that have experienced recent events that were racist, transphobic, sexist or homophobic in nature. Organizations committed to ending the isms in practice and policy. *Large organizations, that have an HIV/AIDS division of 20 or more people are eligible for this initiative as well. Please check the following box if you are a division within a larger organization, and answer all questions as your division. (2) Does everyone have to attend all the webinars? No. But the organization must make a commitment to having representatives from multiple divisions present.